Two Chicks On Books: Blog Tour- FLAWED by Cecilia Ahern An Interview & Giveaway! Blog Tour- FLAWED by Cecilia Ahern An Interview & Giveaway! I am thrilled to be hosting a spot on blog tour for FLAWED by Cecilia Ahern!I have an interview to share with you today! And make sure to enter the awesome giveaway for a finished copy of the book & swag! 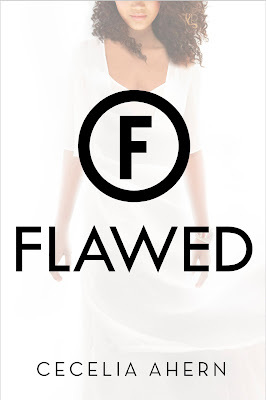 Haven't heard of FLAWED? Check it out! Celestine North lives a perfect life. She's a model daughter and sister, she's well-liked by her classmates and teachers, and she's dating the impossibly charming Art Crevan. But then Celestine encounters a situation in which she makes an instinctive decision. She breaks a rule and now faces life-changing repercussions. She could be imprisoned. She could be branded. She could be found FLAWED. In her breathtaking young adult debut, bestselling author Cecelia Ahern depicts a society in which perfection is paramount and flaws are punished. And where one young woman decides to take a stand that could cost her everything. Hi Cecelia! First I want to say welcome to Two Chicks on Books! FLAWED looks absolutely fantastic and I can’t wait to read it! And am so happy that you could stop by for a visit! •For the readers: can you tell us a little bit about FLAWED and the characters? Flawed is set in a society that doesn't tolerate imperfection. If you make a mistake, moral or ethical, then The Guild which is a morality court brands you Flawed. Your skin is branded with an F, you wear an armband on your sleeve so you can be identified and you become a second class citizen, living by different rules. Celestine North is a 17 year old young woman who strives for perfection but one day she makes a mistake, finds herself branded Flawed. She must find her feet in this new world that regards her as less than. •Do you have a title for book 2 yet? It's called PERFECT and I love it! 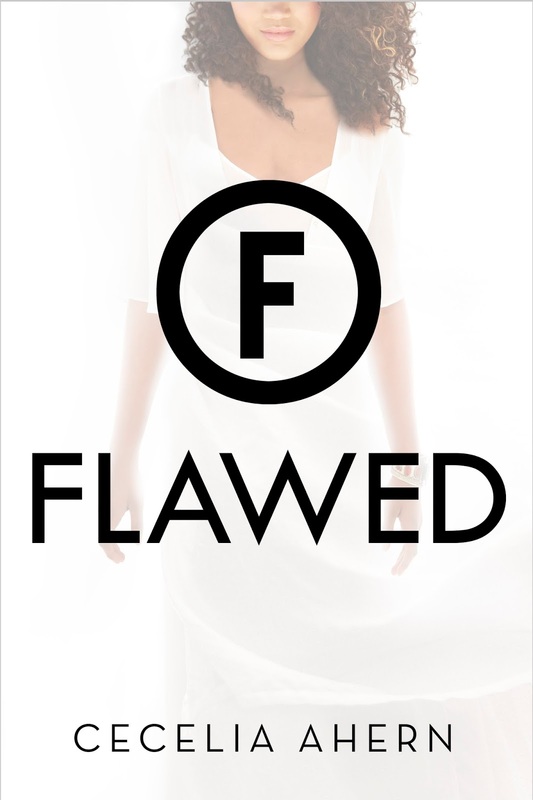 If in Flawed, Celestine is finding her feet, in Perfect she finds them! But her journey is certainly not any easier, poor Celestine has a rough road ahead of her. •Were any of the characters in the book inspired by people from your real life? Celestine's Granddad was inspired by my Granddad Con, Cornelius, who fought in the Irish Republican Army. He was a rebel who fought for Irish independence from Britain. •Who was your favorite character to write? What about your least favorite? I have a crush on Carrick. I think that Login Trilby is possibly a nastier piece of work than Judge Crevan. •What is your favorite passage/scene in FLAWED? The branding chamber where Celestine receives her brands is my favourite scene. It is probably the most powerful scene I have ever written. I was physically trembling when I wrote it and felt as though it was me sitting in the chair. People say to me "I cant believe you went there". I definitely went there. •Who is your ultimate book boyfriend? I have a total crush on Carrick but he's 18 a bit young for me. Jack Reacher. Or Will Trent. Will would be more loyal. •What inspired you to write YA? The story came to me, announced itself to me in my head, all singing all dancing, guns blazing. I had no choice but to write it and it flowed out of me with passion and rage and so much heart. I wrote the first draft in 6 weeks. I had to get this story out of me or I couldn't go on!! •What are you reading right now? Or what do you have on your TBR that you’re dying to read? Morning Star by Pierce Brown, the final book in the Red series. I'm addicted. •Any Phobias? Lots but o don't say them out loud. You attract your fears. 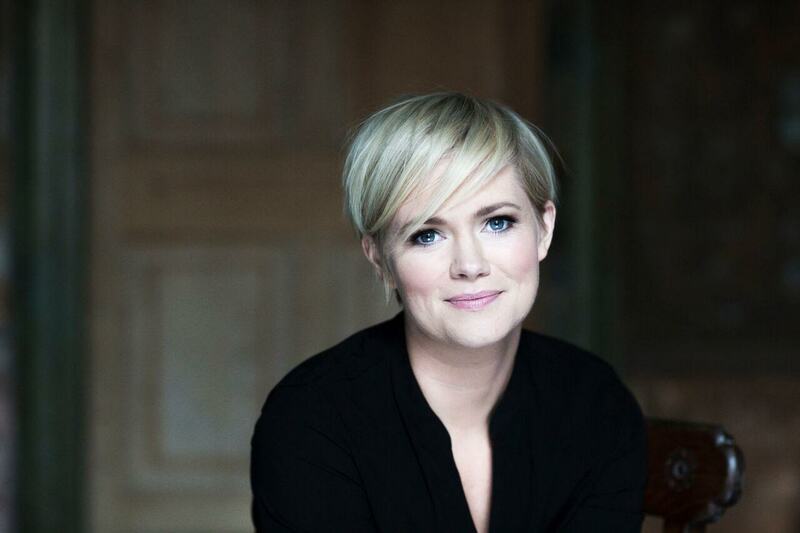 The Year I Met You is Cecelia Ahern’s 11th novel. At twenty-one, Cecelia wrote her first novel PS, I Love You, which was sold to forty-seven countries. The film of the same title, directed by Richard LaGravenese and produced by Wendy Finerman productions, starred Hilary Swank, Lisa Kudrow, Kathy Bates, Gerry Butler, Harry Connick Jr, Gina Gershon and Jeffrey Dean Morgan. PS, I Love You was one of the biggest-selling debut novels of 2004, reaching number 1 in Ireland and in the UK Sunday Times bestseller list. It was also a bestseller throughout Europe and the USA, staying on the best-seller list in Germany for 52 weeks. That same year, in November 2004, her second book Where Rainbows End (as Rosie Dunne hardback in the US, Love, Rosie paperback in US) also reached no.1 in Ireland and the UK, remaining at the top of the Irish bestsellers list for 12 weeks and again was a bestseller internationally. Where Rainbows End was adapted for film titled Love, Rosie and will be released in Oct 2014, starring Lily Collins and Sam Claflin. Her third book If You Could See Me Now was published in November 2005 and also became an international bestseller. It has been optioned by producer Simon Brooks, producer of Love, Rosie. Cecelia’s fourth novel A Place Called Here (published under the title There’s No Place Like Here in the US) also became an international number one bestseller. Thanks For The Memories her fifth novel was also a huge bestseller and is now being adapted for a TV Drama Series by Gate Productions. The Gift was published in October 2008 and became an International bestseller. It is optioned by Oscar winning producer Andreas Bareiss, and it is going into production later this year. Her seventh novel The Book Of Tomorrow was released in October 2009 and eOne Television are developing it for a TV series in the US. In March of 2011 her two short stories, Girl in the Mirror were published. In November by Cecelia’s eighth novel The Time Of My Life was published and also became a bestseller. Her ninth novel One Hundred Names was published in October 2012 and became a number one bestseller. Her tenth novel How To Fall In Love was published last November and also became another bestseller. To date Cecelia has sold over 22 million copies of her books worldwide. Visit Cecelia's website and follow her on Twitter and Instagram! 1 winner will receive a FLAWED prize pack with swag from both sides of the pond as well as both editions of the book for this tour (US/Canada only). I love the idea behind this book and the message the author wants us to find. I think this is a very important topic to women of all ages. Looking forward to reading this book! I can't wait to read this!!! This book sounds like such an amazing read! I can't wait!